Crow Wing County Sheriff, Scott Goddard is a life-long resident of Crow Wing County growing up in and around the Pequot Lakes area. Scott lives in Ideal Township with his wife Carla, an elementary teacher in the Pine River Backus School District, his daughter Jordan and his son Paxton. Scott started his law enforcement career as a police officer for the City of Breezy Point and Pequot Lakes Police Departments before joining the Crow Wing County Sheriff’s Office. 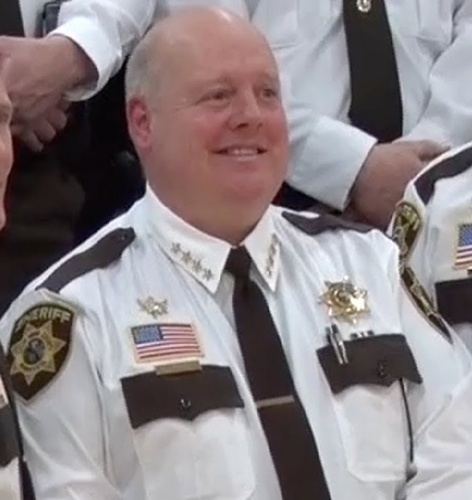 Scott is proud of being able to rise through the ranks from patrol deputy, sergeant, lieutenant, captain and is the current Sheriff of Crow Wing County. Scott has been a trainer for the sheriff’s office on the topics of firearms, force on force, tactical operations, active shooter and the ALICE program.